You may note that CMLL Friday show has a different main event suddenly. They made they change sometime Thursday, adding Angel de Oro, Cuatrero and Sanson to the mix. It sure seems like they’re heading in an unlikely direction (the H2L main event feuding starting on FantasticaMania?). We’ll have a better idea after that show. This is week two of three straight AAA on Twitch Friday nights. This card isn’t nearly as strong as last week (especially if the locally reported main event is what happens) – but CMLL has tournament lucha so that’s not great the best either. AAA starts on Space this weekend. It’s now even listed on their website! 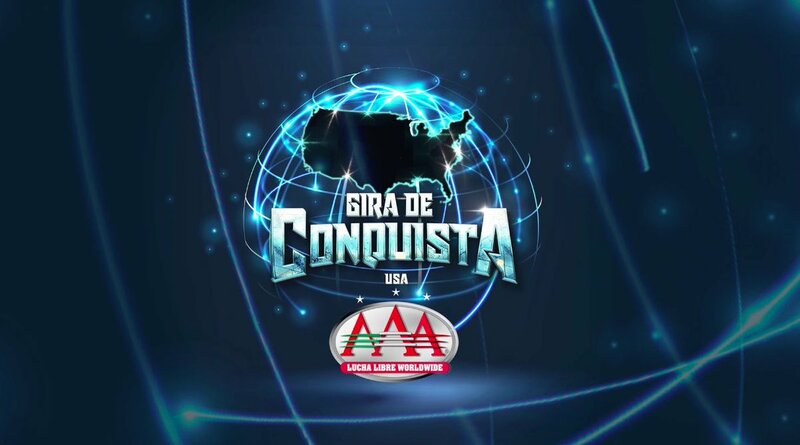 The show airs on Saturdays outside of Mexico, and I wonder if the current Televisa deal requires them to get to air the show before anyone else. I’m also curious if the TV will have much we don’t see live (there was a Bengala/Texano vignette we only seemed to catch part of), and how they’d handle Noti AAA on the show that can’t use Zuniga. There’s no Sunday IWRG show this week because Chario is running on Monday. It’s strange that Naucalpan won’t let other promotions run on Sundays if they’re still going to rent out the arena to run on Mondays and not run Sundays themselves. I don’t understand the point. Anyway, that means Wednesday’s IWRG show is more likely to air – maybe even in the Saturday spot that’s just had reruns of late. 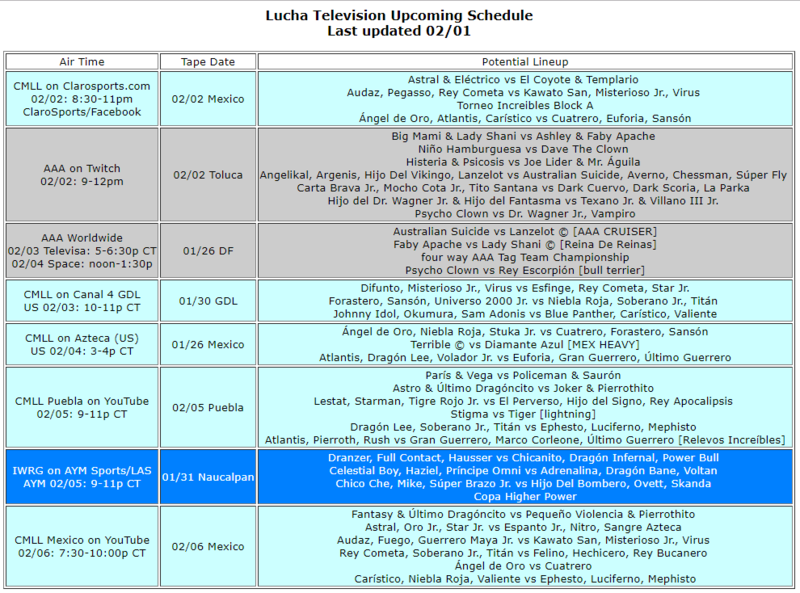 Note that there’s no obvious rhyme or reason to what Lucha Azteca is airing at this point. And I’m not going to put Teleformula on here unless we can figure out what’s going to air. These are the results for 2017 Tapatia Awards, honoring the best in lucha libre. Thanks to everyone who voted, and thanks for those who didn’t for still reading this. We had 60 ballots submitted, far more than we tried this project last decade. Full results from past years: 2004, 2005, 2006, 2007, 2008, and 2009. There were no awards from 2010 to 2016. 2004: El Hijo del Santo vs Perro Aguayo Jr.